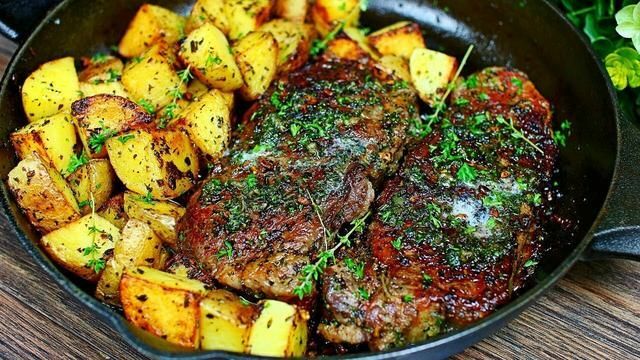 Skillet Garlic Butter Herb Steak and Potatoes is panned seared and cooked to perfection and topped with a garlic herb butter compound. 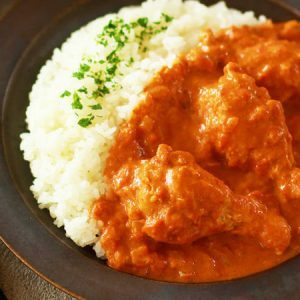 This delicious meal is ready in 30 minutes or less. 1 teaspoon freshly squeezed lemon juice. 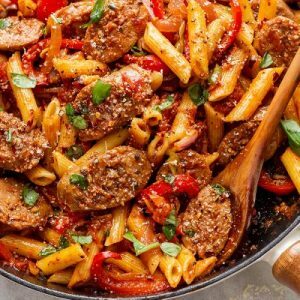 Heat the oil in a 12-inch cast iron skillet over medium heat until shimmering. 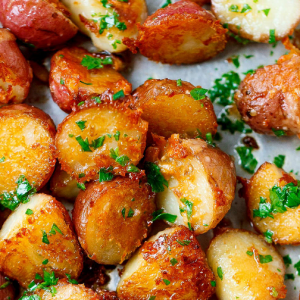 Add the potatoes cut-side down, sprinkle with the salt, and cook undisturbed until golden-brown and the potatoes release easily from the pan, about 10 minutes. Dry the steaks with paper towels. Season all over with 1 teaspoon salt and set aside. 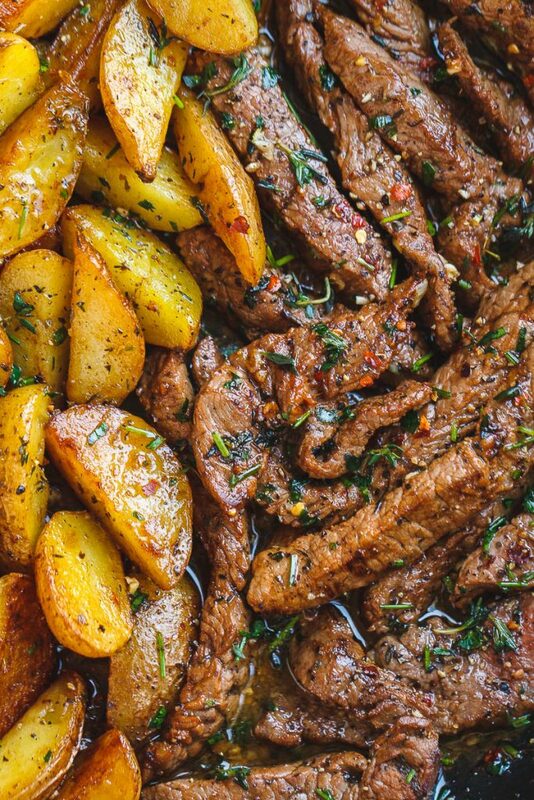 When the potatoes are ready, transfer to a serving platter. 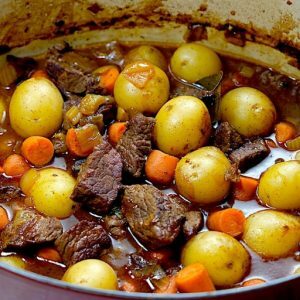 Wipe out the skillet with paper towels and return to high heat until the pan starts to smoke just a bit. Carefully place the steaks in the hot pan and cook on the first side until enough of a crust has developed that the steaks no longer stick to the pan, about 1 minute. Carefully add the butter to the pan. Flip the steaks once more. Tilt the pan so the butter pools on one side and add the garlic to the pool. Use a large spoon to baste the butter over the steaks. Flip again and repeat with basting. Continue cooking and begin checking the internal temperature of the steaks at 6 minutes total cook time for your preferred doneness. Medium rare is between 125°F and 130°F. Transfer the steaks to a clean cutting board and let rest for 5 minutes. Meanwhile, stir the parsley and lemon juice into the juices in the pan. Let cool for a few minutes, then taste and season with more salt and lemon juice as needed. Cut the steaks across the grain into 1/2-inch-thick slices. 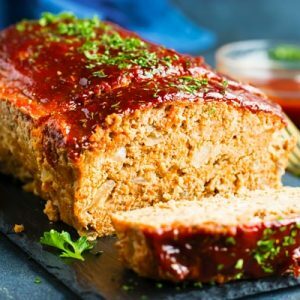 Place on top of the potatoes and drizzle with the garlic butter pan sauce. 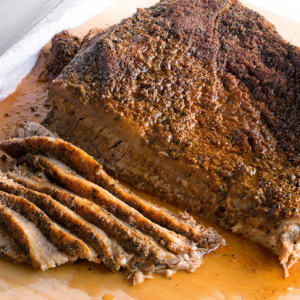 Tender and Delicious Oven-Roasted Beef Brisket. 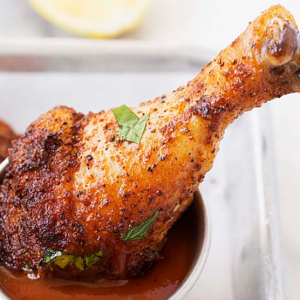 The Easiest Oven-Baked Chicken Drumsticks. 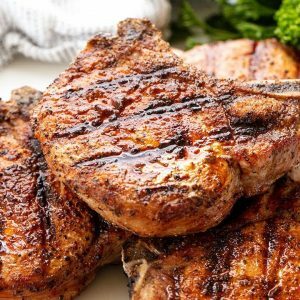 Make These Perfect Grilled Pork Chops Today. !